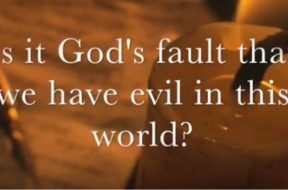 VIDEO: Bonus – Is it God’s Fault We Have Evil in This World? 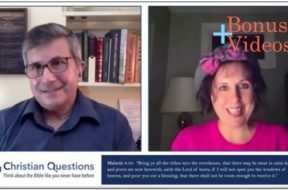 Listen in as Rick and CQ Contributor, Julie, discuss three questions related to our recent podcast on whether or not it's God's fault we have evil in this world including: 04:42 Why do some people have a disproportionate experience with sorrow and evil that is not a result of their own choices and natural consequences? 10:18 Every generation has experienced evil, yet each generation still commits evil. How bad does it have to get for it to be "enough" experience for mankind? 18:53 Why do some thing God is a monster? To hear more on this topic listen to our full podcast Episode #1052. VIDEO: Moments that Matter – What Do the Faithful Old Testament Characters Teach Us? Can the Old Testament faith heroes actually be relevant today? What can we learn from them? A foundation. They give us the materials on which to build a successful Christian life. 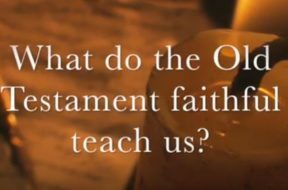 Watch this short vlog then listen to the full podcast #1051 - What Do the Faithful Old Testament Characters Teach Us? 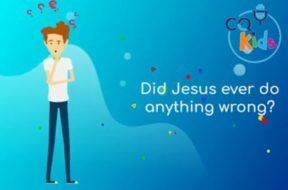 VIDEO: CQ Kids – Did Jesus Ever Do Anything Wrong? Never! As God’s only son, he was perfect and never made any mistakes. He was kind and humble. He didn’t brag about himself or his accomplishments. He didn’t bully anybody or make fun of anyone. He loved ALL people, and performed many miracles to help others. This short animated video explains more. 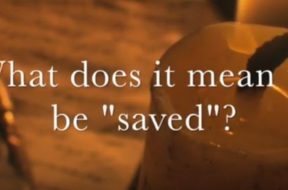 VIDEO: Moments that Matter – What Does it Mean to be Saved? Salvation is a controversial topic. What are we saved from? Who gets saved? Watch this short vlog then listen to the full podcast of the same name. 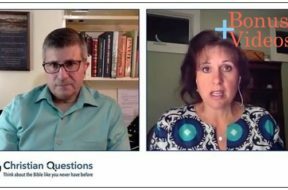 Our conversation continues...listen in as Rick and CQ Contributor, Julie, discuss three questions related to our recent podcast on Tithing including: Does tithing belong in Christianity? Just because tithing in the Bible doesn't involve money, are you saying we should donate land or cattle instead? If it's true the Bible doesn't teach people to tithe money, why are so many churches teaching contrary to the Bible? This is a great question sent into us by a young listener. 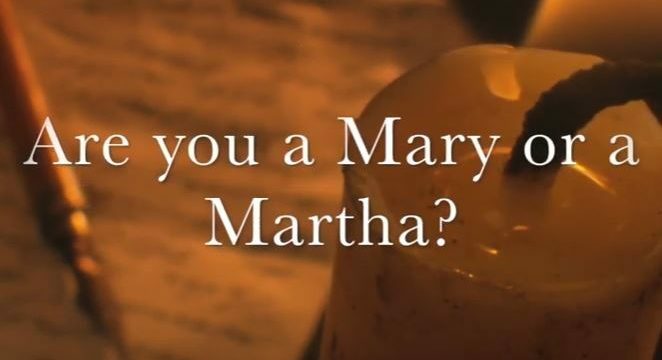 Watch this short, animated video for the answers! 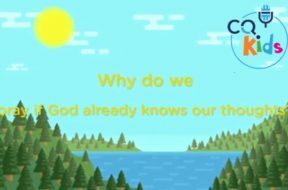 How can we be more thankful to God? When we think about God and everything He created for us, we can’t help but feel thankful and want to tell him in prayer. James 1:17 says, “Every good and perfect gift is from above..." Let’s dig deeper into how we can appreciate these gifts on a whole new level! Watch this short animated video for kids.